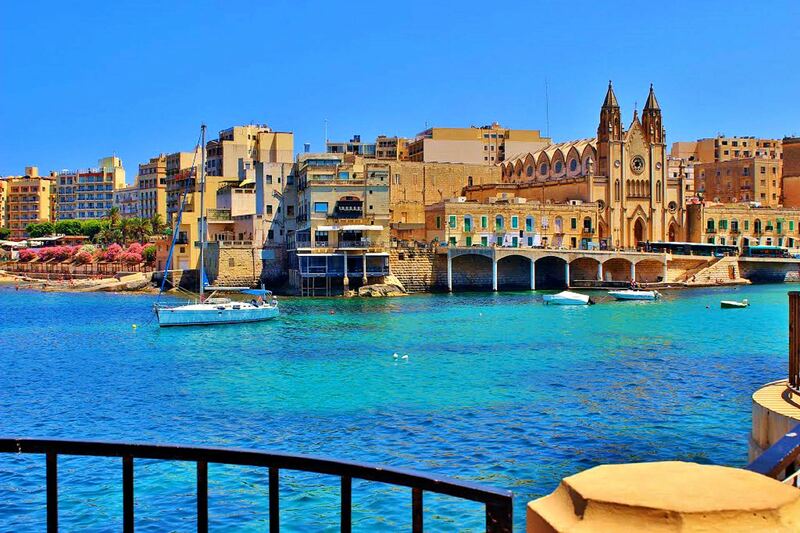 Right in the center of the Mediterranean lies the beautiful islands of Malta. The country covers just over 316 km2 with a population of 450,000, making it one of the world’s smallest and most densely populated countries in Europe. The capital of Malta is Valletta. Malta became an EU member in May of 2004. The country has developed over the years to keep pace with the world. The island has become a major freight transshipment point, a financial center, and a popular tourist destination. Malta is a popular tourist destination with its warm climate, numerous recreational areas, and architectural and historical monuments. Besides, the country is also a popular destination to study because Maltese educational system is very similar to the British one. As English is an official language of Malta along with Maltese this may be just the perfect place for your first study abroad experience. Many students have struggled with the “cold culture” found in other English speaking lands. Malta has the cure! A family-based, laid-back, warm-region culture with Mediterranean folks ready to help at the slightest request, creates a welcome change and relief! It’s also one of the safest places on earth. Studying abroad is not just about digging your head into books but also about getting to know another culture, explore different cuisine and meeting lots of new friends from all over the world. Exploring Malta is easy to do by public transport, by bus or boat it is possible to reach almost every part of the islands. The “Malta bus” is considered a tourist attraction of its own as it has a long tradition on the island. This tiny island nation has become a top destination over the years for expats, attracting newcomers with its attractive climate and topography. But beyond its natural beauty, Malta also provides varied career prospects that many foreigners have been enjoying in recent years. The unemployment rate in Malta is, as of 2017, the third lowest in the EU at only 4.1% for a population of more than 436,000 inhabitants. The recession of the late 2000’s did not impact Malta as harshly as other countries. As a Mediterranean English-speaking country, Malta hosts a dynamic expatriate community that continues to grow every year. The relative ease of finding work makes it an even more desirable destination. Malta’s economy is mainly focused on online gaming, finance, tourism, and information and communication technology. Most expat workers coming to Malta find opportunities within these major industries. Malta is one of the world’s very few truly bilingual countries. Both Maltese and English are official languages in Malta. The teaching in Maltese schools is conducted in both languages. In higher education, most courses are taught entirely in English. It’s very rare to find a Maltese person who doesn’t speak English. By law, all English teachers must be qualified and certified to teach.